There were a couple of shocks on the Friday night Euroleague action and Round 5 will be a round that many fans will remember. Group A was the group that grabbed the headlines but Goup B and Group C both had a few interesting moments and plenty of drama. Group A has gotten a lot more interesting with the win for Anadolu which gives them a 4-1 record, the same record that their rivals at the top of the group Real Madrid now holds. Madrid held a perfect recording into this game which looked to be going into overtime before Matt Jenning grabbed the winning points with seconds left on the clock. The top player for the winners was Cedi Osman who grabbed 16 points while Dario Saric helped himself to 13 points. Other players who achieved double figures for Istanbul included Stephane Lasme (12), Milko Bjelica and Stratos Perperoglou, who both grabbed 11 points. Madrid were boosted by Sergio Llull grabbing 20 points while Ioannis Bourousis helped himself to 17 points. It is still likely that Madrid will top the group but this win will give plenty of hope to the teams chasing them. The Madrid loss wasn’t the only shock in Group A as Sassari grabbed their first win in the Euroleague. This meant that Kaunas missed the chance to go level at the top of the group and the away side be ruing the fact that they held a lead in the second quarter, but were pulled back. Shane Lawal offered up 25 points while David Logan grabbed 20 points, 16 in the second half. Jeff Brooks offered up 16 points while Edgar Sosa and Rakim Sanders both provided 10 points each. James Anderson was the top performer for Zalgiris, grabbing 15 points while Arturas Milankis picked up 14. 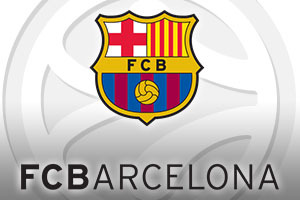 In an eagerly anticipated clash, Barcelona went 5-0 after triumphing in a physical match with Panathinaikos. Ante Tomic played a key role in the win, offering up 16 points while Maciej Lampe, Brad Oleson and Juan Carlos Navarro all provided 12 points. Esteban Batista was the top man for the Greek team, picking up 14 points. While the match was tight throughout, Barcelona were strong and had a few points lead for the majority of the match. There were five points in the game with six minutes to go but Navarro and Tomic ensured that there would be no late slip for the Catalan giants. Alba moved onto a 2-3 record with this win, moving up to fourth place in the group, above Zagreb, who now have a 1-4 record after five games. Jamel McLean and Leon Radosevic combined to deliver 34 points, with Jamel offering up 20 of these points. Alex Renfroe provided 12 points while both Niels Giffey and Reggie Redding offered 10 pints each. Roko Ukic provided 15 points for the home side, who led at the end of the first quarter, while Tomislav Zubcic provided 13 points. A 25-2 run in the fourth quarter helped Moscow to bounce back from a 12 point deficit, helping them to move on to a 5-0 record. Milos Teodosic was at the heart of the good form with 16 points and 12 assists while Sonny Weems provided 18 points. Sasha Kaun delivered 10 points while Nando De Colo provided 13 points but it was Pavel Korobkov who had a real impact in the fourth quarter, grabbing 12 points. This was the third defeat in a row for Limoges who had Jamar Smith in fine form, grabbing 19 points while Adrien Moerman provided 17 points and 10 rebounds.